In this audio program A.J. 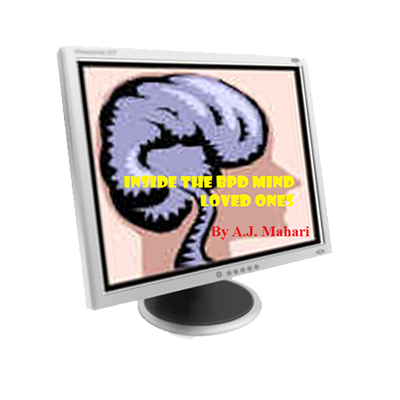 Mahari explores the reality of the false self in Borderline Personality Disorder and the healing reality of the connection to one’s inner child. Mahari describes why it is so important to get in touch with his or her inner child and his or her abandoned pain and how that is central to recovery. Track 1: 52 Minutes An Introduction To The Inner Child along with Borderline Personality Disorder and The Reality of the Victim Mentality and its connection to the fragmented split-off dissociated from Inner Child. 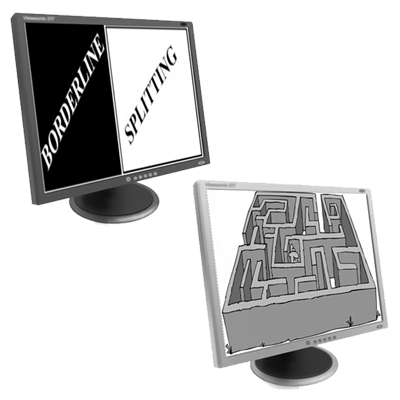 Track 2: 31 Minutes The Borderline Victim and The Need For Insight and Personal Responsibility – Versus The False Self. Track 4: 42 Minutes A.J. 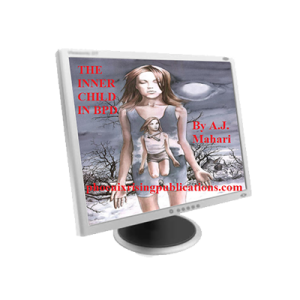 describes how, when, and why she met her inner child and what it meant to her recovery and how becoming aware of your inner child – your abandoned pain – can lead to ending self harm and is central to over-all recovery. Track 5: 75 Minutes Borderline Duality – There’s “me” and then there is ME – The Reality of Duality – The domain of the false self and the lost authentic seed locked within the inner child. 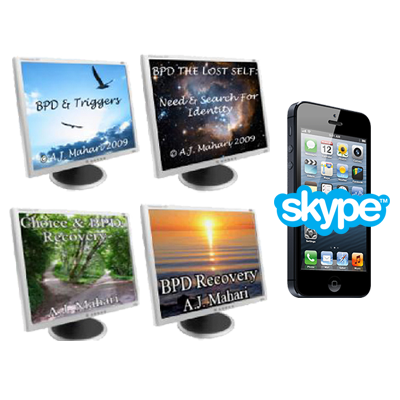 In the audio program, “Preparing For Recovery From BPD & Preparing For Recovery From BPD Part 2” A.J. 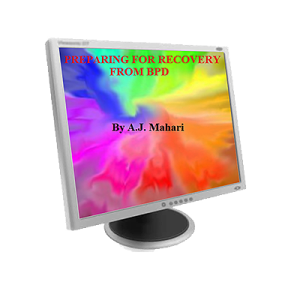 Mahari outlines and explains the foundational steps that can and will faciliate those with BPD getting on the road to recovery. Drawing on her own personal experience as someone who has recovered from Borderline Personality Disorder Mahari provides a profoundly insightful and motivating road map of hope and possibility for recovery from Borderline Personality Disorder. Track 1: 38 Minutes Preparing For Recovery From BPD – Understanding the False Self. Track 2: 48 Minutes Finding Hope For Recovery in Radically Accepting The Paradox of Pain. 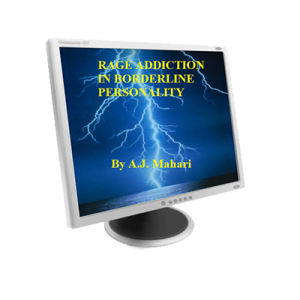 Mahari describes in detail the anatomy of rage addication in Borderline Personality Disorder and explains how it is all about choice. Track 1: 22 Minutes Rage – What is it and what causes it? Track 2: 21 Minutes The Storms of Indignation. Track 4: 23 Minutes Why is Rage An Addiction For Those With Borderline Personality Disorder? In this program A.J. Mahari talks about how those with Borderline Personality Disorder can find hope from her own experience as someone who had BPD and has recovered. Mahari knows what it is like to fight the battle of borderline negativity to find her way to the hope that helped her to go on and recover. 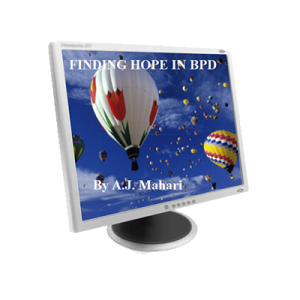 Mahari talks about what blocks many with BPD from feeling hope or like they can have hope. Mahari encourages those with BPD to begin to realize the importance of addressing borderline abandoned pain that sits between them and the ability to hold and live from a hopeful place inside. Mahari talks about, as someone who as been there, the cognitive distortions that have created the polarized ways that borderlines experience their thoughts and feelings and how that polarization is what often blocks hope. Mahari also outlines the ways that borderlines can work toward welcoming in hope one step at a time through mindfulness and radical acceptance. Mahari also shares a couple of her own experiences when she was in recovery from BPD, in group therapy, that give a clear illustration of the reality of hope as a catalyst for change and the reality of the blessings of paradox. Track 1: The Core Wound of Abandonment – The Source of Negativity in Borderline Personality Disorder. Track 3: Learned Helplessness – The Result of Cognitive Distortions – how it impacts hope and becomes an obstacle that blocks hope and getting on the road to recovery. Track 4: How To Find Hope From Within The Emotional Storms of Borderline Negativity. Track 5: Applying Mindfulness and Radical Acceptance To Finding Hope, Maintaining Hope and Experiencing Hope as a catalyst for change in the quest for paradox (Wise Mind) – A.J. also shares a couple of her own challenging experiences from her recovery when she was in group therapy that underscore the importance of hope.